Spend another £93.40 to get FREE DELIVERY! The Eaton range of 10/15kA high performance Miniature Circuit Breakers (MCBs) have been designed to meet the latest UK, European and International standards, with ratings from 1A up to 63A. The Eaton Miniature Circuit Breakers are designed and tested in accordance with BS EN 60898 and are available in B, C and D characteristic curve as standard. • Modular design, DIN rail mountable. • 1, 2, 3, and 4 pole MCBs for commercial and Industrial applications. • Rated Braking Capacity 10kA to IEC 60898 and 15kA to IEC 60947-2. 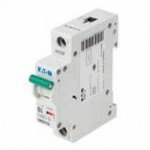 • Rated currents from 1–63A in both B, C and D characteristic. • Box clamp barrier to prevent incorrect cable/busbar insertion. • Calibrated at 40° C.
• Can be used with both pin and comb type busbars. 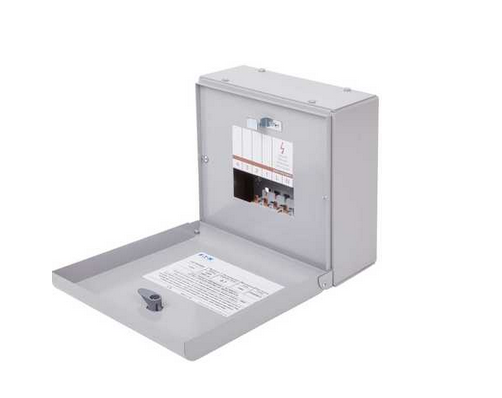 • Suitable for use in Eaton Memshield 3 Distribution boards and a wide range of other applications.